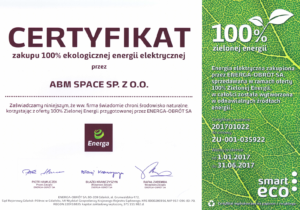 CSR – ABM Space Sp. z o.o. 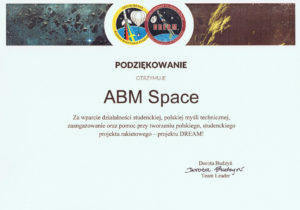 ABM Space company in deliberate and consistent way implements the policy of responsible business. Within the scope of responsibility for the environment, in which the company operates, we conduct ecological circulation of documents. The circulation is based on collecting, processing and sending of documents in electronic version, what contributes to substantial time, material and money saving. The partnership puts emphasis on implementation of waste segregation in connection with ecological benefits coming from sorting and therefore, costs connected with maintenance of landfills and incineration plants. Employees of ABM Space are offered superb conditions for professional development, passion for work and moreover, maintenance of work-life balance. In order to avoid professional burnout and allow for harmonious incorporation of work with personal life of employees, the partnership undertakes actions such as: implementation of convenient forms of work and employment for employees, as well as more flexible work time. The company is characterised by acting in the best interest of its employees, giving opportunities for development and not discriminating due to gender, education or professional experience. The company is open for individual proposals from employees concerning trainings and courses they are interested in. ABM Space takes care of good relations and positive and creative atmosphere at work, by organizing joint team-building events and mitigating distance between superiors and employees. We are actively promoting and supporting science and education in the field of space engineering. We also want to support the construction of human resources for the space sector and to inspire young people to choose such career path. 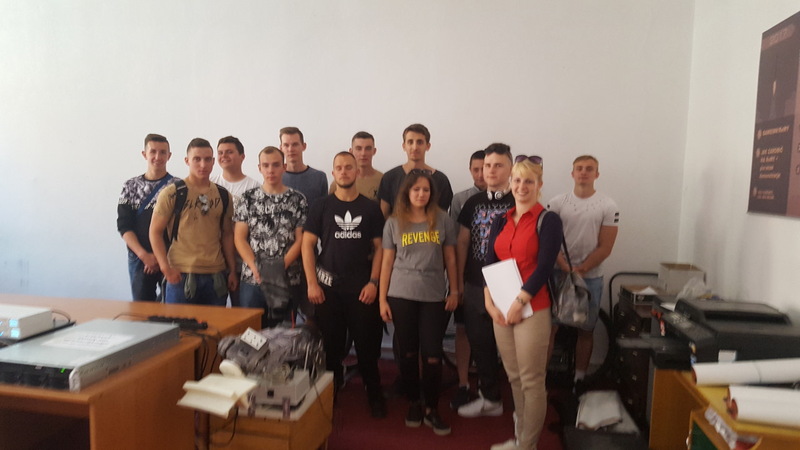 In connection with the above, we have recently hosted students of the Technical High School of Vocational Training Institute in Płock at the headquarters of our company, who, as part of the project "Academy of Competence ZDZ in Płock", had the opportunity to take a closer look at our work and familiarize themselves with the technologies developed by ABM Space. As part of our CSR activities, we are also committed to supporting school-age children and youth. The goal of our company is, among others, to popularize knowledge and animate activities in the field of astronautics and space engineering. Therefore, asked by passionate and ambitious students from the Academic Gymnasium in Toruń for help and technical support in preparing for the CanSat competition, we were very excited to provide some advice and support this project. 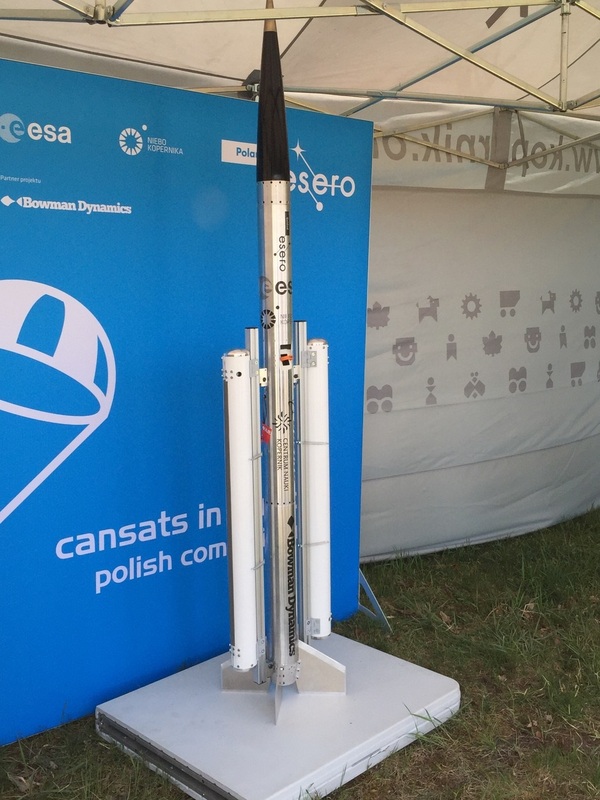 The goal of the whole undertaking was to build the best mini-satellite of the size of a can constructed by the CanQuito team which will be able to freely explore the atmosphere. 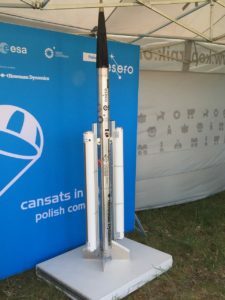 CanSat is an European initiative of ESERO - an educational project funded by the European Space Agency, which encourages students to independently construct mini-satellites and conduct scientific research. 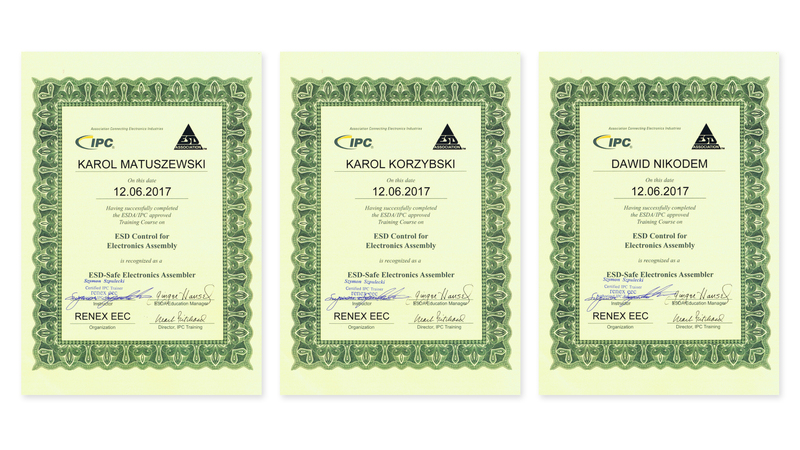 Kontynuując wdrażanie przez firmę działań CSR, dbamy o stworzenie pracownikom odpowiednich warunków rozwoju. Tym razem, nasi trzej pracownicy z działu elektronicznego z powodzeniem ukończyli kurs pod nazwą: Elektryczność statyczna – ochrona urządzeń elektronicznych, organizowany przez firmę Renex. In accordance with our policy, we support employees in their professional development. ABM Space employee, participated and successfully completed training in Cross Platform Applications – Xamarin Programming. 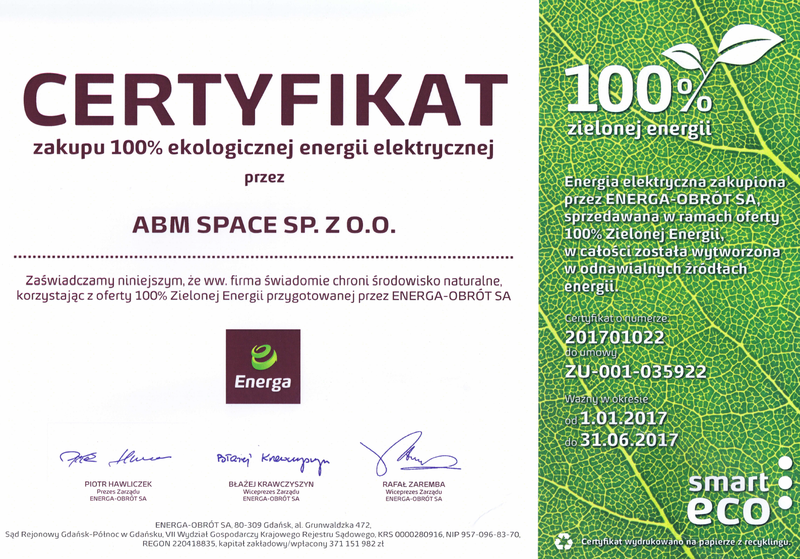 Taking the above mentioned into consideration and keeping in mind the common good, ABM Space company continues to use electricity from renewable sources.